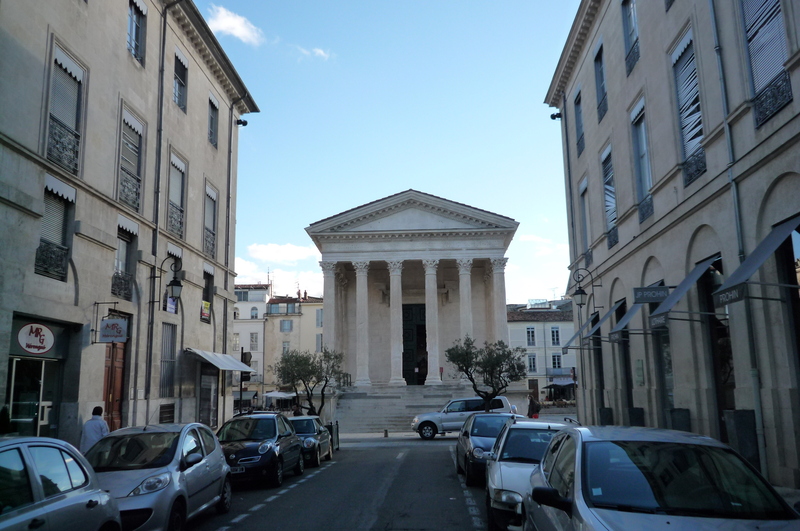 The weather here has been very un-sud for the past week, with black clouds hanging over us and even a little rain from time to time. The average Vancouverite might have a good chuckle at it, but my neighbor (and landlady) was speaking as if the world was about to end after, oh, nearly a whole week without a full day of sun. Happily that’s all changed and we are back to normal, which means I’ve got nothing to stop me from getting off the sofa and onto the saddle. I’m glad I waited, too. Starting my year off with a day like today can’t be bad. There was a little wind from the north, but it was 14 degrees when I left and just a few scattered clouds. I’m even tempted to say I could smell spring in the air (and down here I might not be too far off), but I’m the eternal optimist…and invariable early by a month or so. 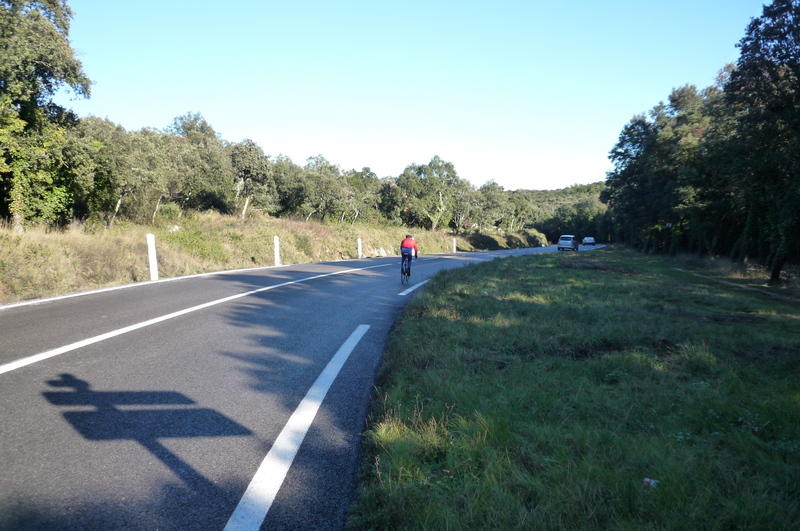 This is the beginning of my favorite descent behind Nîmes, complete with cyclist. Seems I wasn’t the only one shirking work to get out on the road today. 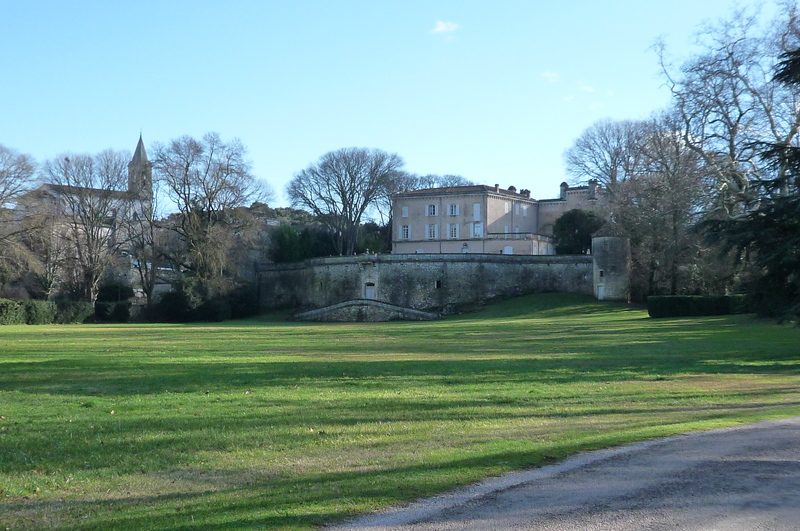 Here is the chateau of Dions, where I stopped for a stretch. 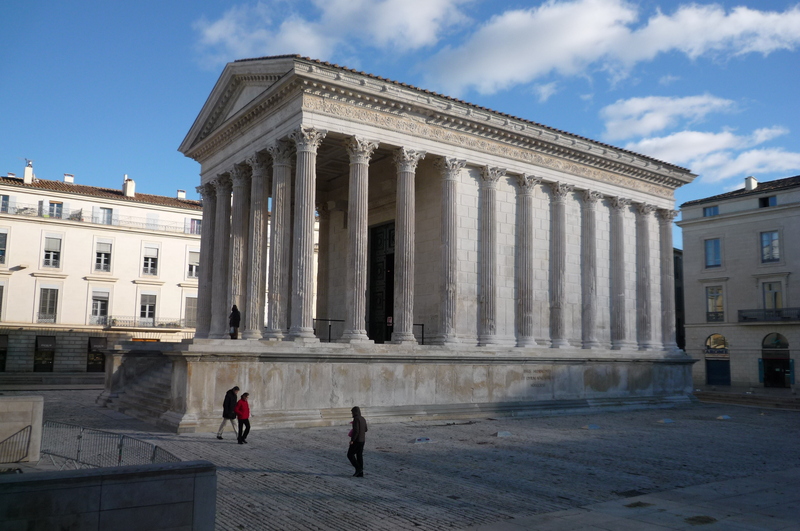 And that’s it till I got back to Nîmes. 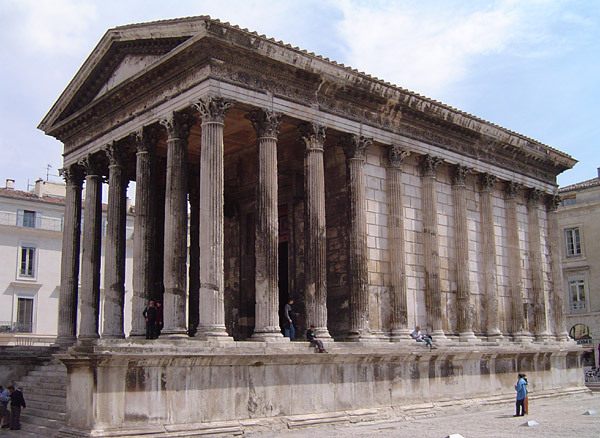 I’ve been waiting to take a couple more pictures of the Maison Carrée, which has just gotten a badly-needed cleaning. For those interested in my Etape du Tour preparation (and the continuing saga of my bum knee), click here. 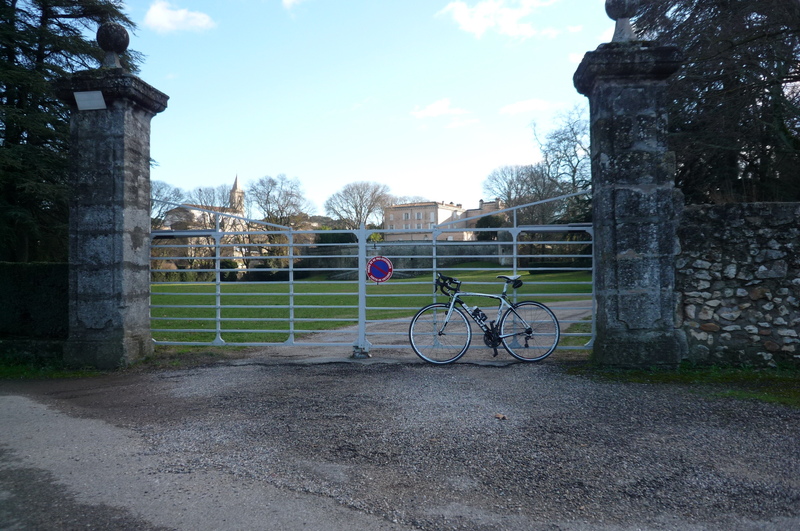 This entry was posted in Cycling and tagged maison carree. Bookmark the permalink. We’re still not back in the saddle yet – either too foggy or roads icy. Looks like warming up this week so maybe we’ll get our first ride. Making do with walking 10km a day getting youngest son to and from school bus so keeping fit! You are a bit farther north and a little higher as well, I’ll bet. That’s an impressive hike to the bus stop, by the way. How remote are you, exactly…? I might have to get you to guest post on TDF Tips!